I have imported H&S carry/competition holsters from Germany. They are all in stock and ready to ship. Please contact me at Bob@firearmsdepot.us or 928-522-6466 to order or if you have questions. Thanks for your interest. With the help of the IPSC Topschützen Marijanloch developed sports holster, which is suitable for all current disciplines. 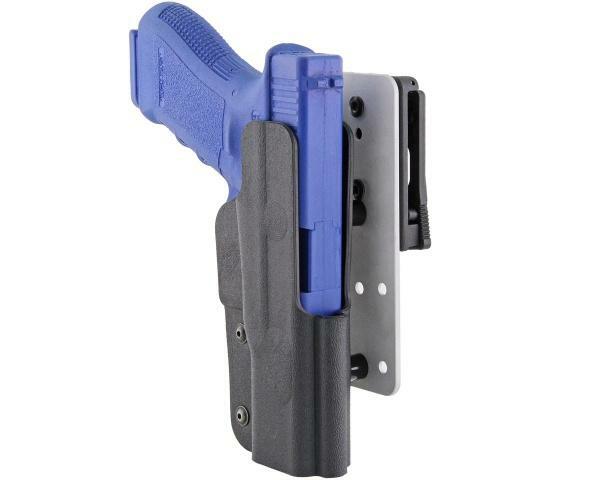 The holster with a high guide structure consists of high-strength and virtually indestructible Kydex material. Two lateral screws allow adjustment of the drawing resistance. 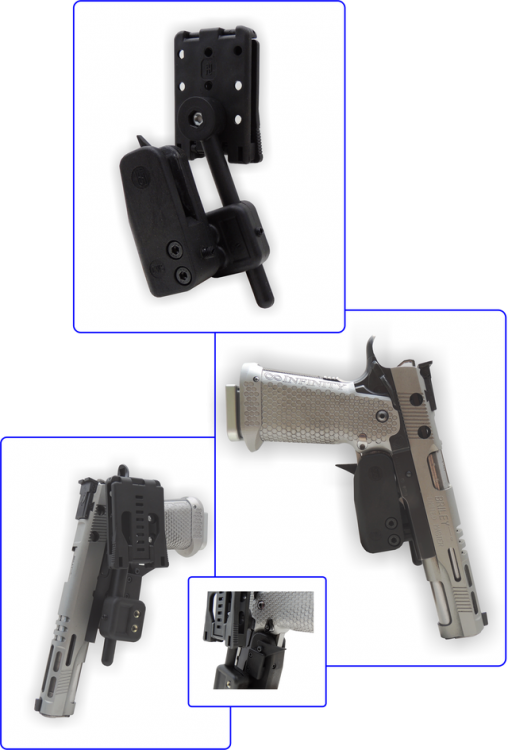 The actual holster body is thermally adapted to the respective weapon shape exactly and guarantees the best fit. 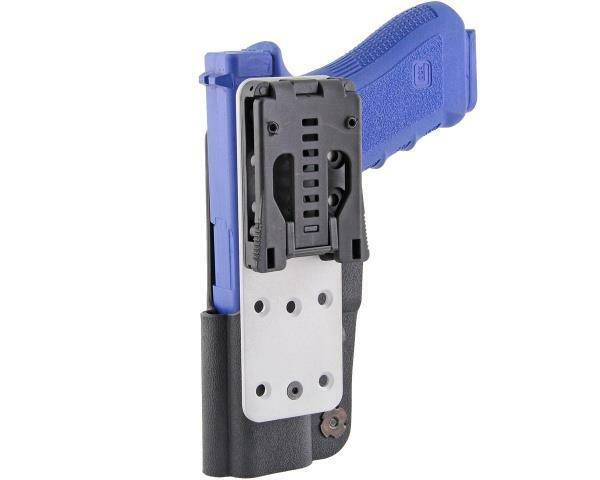 The holster can be attached to the belt plate at two different heights and at 3 different angles. The Multilock belt loop is adjustable on belt widths up to 55mm - for convenient mounting it can be opened. NOTE: Works only for right hand application. AVAILABLE FOR YOUR X-5 OR X-6 WITHOUT BARREL WEIGHT OR X-BRIDGE. 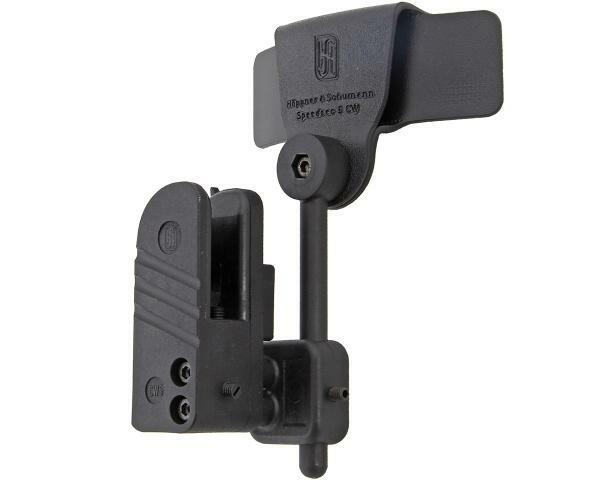 Safety instructions: The CW 5 has a latch in which the trigger hooks engage. In the locked state, it is impossible to move it out of the connection with the trigger - unless you try to bend or break something with raw force. When the CW 5 is in the unlocked state, the weapon can only be removed (by force) in the vertical direction. We do not recommend running with the unlocked holster, since the forces acting vertically can be sufficient to "jump" the weapon out of the lock. NOTE: Works only for right hand application. 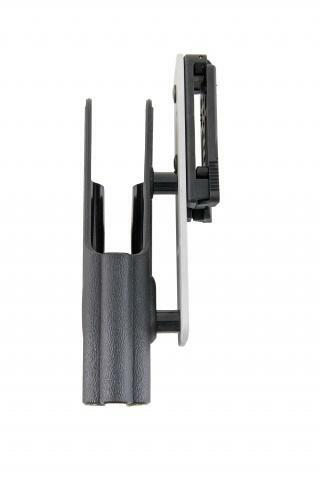 WORKS ON YOUR X-5, X-6 WITH A X-MOUNT BRIDGE. 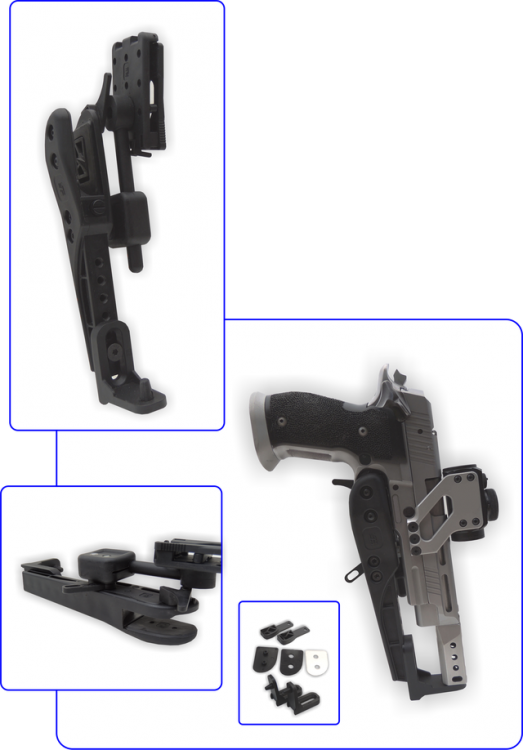 The further development of the well-known Speedsec 5 Holster. The Speedsec 6 GF (L) impresses with its ergonomic design and universal applicability for almost all weapons used in dynamic shooting. 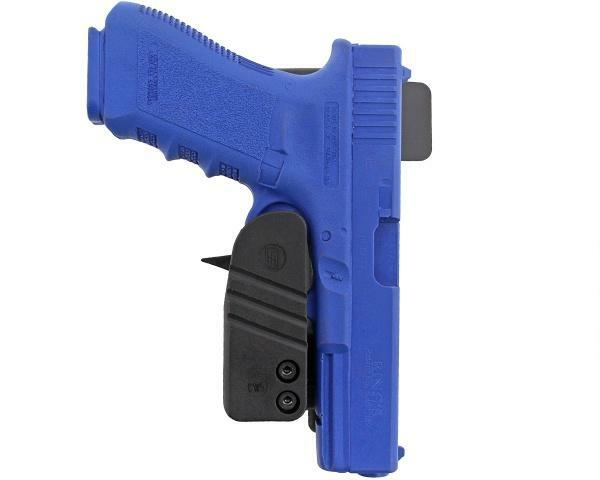 Completely made in Germany of high-quality plastic, the Speedsec 6 GF (L) does not burden the shooter with unnecessary weight and does not affect the freedom of movement due to the compact design. The Speedsec 6 is easily and quickly adapted to the particular type of weapon by means of different built-in components. Markings on the components and a table in the operating instructions make the setup for the respective weapon easy. 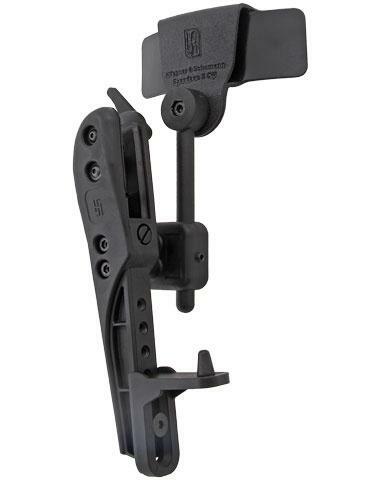 It goes without saying that the Speedsec 6 has the already known adjustment possibilities in angle, height and lateral adjustment, and also offers an adjustable pulling resistance. The weapon snaps into place with a clearly audible "clack" when inserted, and as with the Speedsec 5 it can be secured by a lever completely against unintentional dropping. The sliding muzzle holder in different sizes offers optimal support also for sports weapons with longer runs. NOTE: Works only for right hand application. For all the holsters and pouches you have to use a standard IPSC belt (40mm height). WORKS ON YOUR X-5, X-6 WITH X-MOUNT BRIDGE. DOES NOT WORK WITH A X-5 OPEN WITH COMPENSATOR.